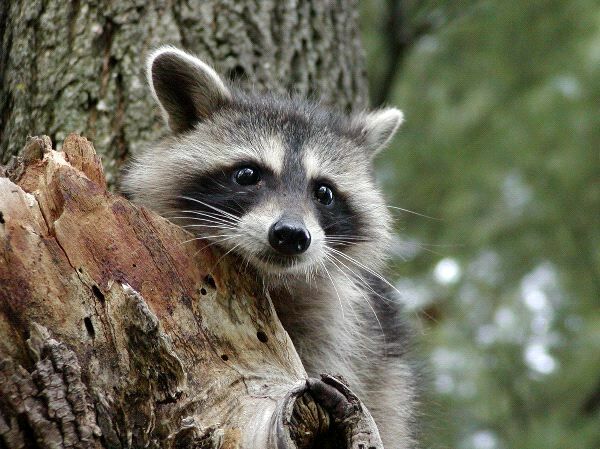 The Racoon is often called the nighttime bandit. They are nocturnal which means that they sleep during the day and go out at night. They are black and gray and have what looks like a black mask over their eyes. They also have a long thick tail. The Racoon is a scavenger and they will eat just about anything they can find. They often are considered to be a nuisance to humans. They may get into trash bins, a garage, pet foods, and more in order to survive. Once they come around it is very hard to get rid of the Racoon.